anasteam - SeattleCoach! "Connection. Curiosity. Challenge." Through the years, seasoned leaders from Microsoft have crossed the bridge to train with SeattleCoach. And SeattleCoach has crossed the bridge for work at Microsoft. Though SeattleCoach is more of a "small craft brewery," we've noticed that both of our organizations begin with great talent. In all of our training and development we put leaders in close proximity to each other, knowing from experience that support, learning, innovation and fun will ensue. We start with excellent ingredients, work with small batches and add lots of careful attention along the way. No fog machines. The results are delightful. 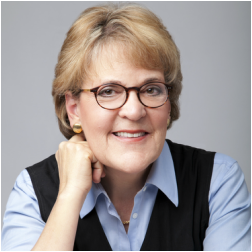 Click on the link to the right to listen to my best two-minute shot at describing the differences between a mentor, a teacher, a consultant and a coach. 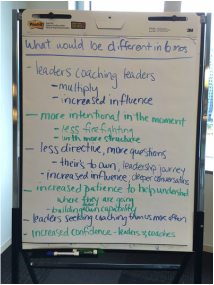 "What Happens When Leaders Learn to Coach?" Going Deeper . . . Regarding level III questions and inquiries: You’ll hear scores of my favorites as we go along. You may also enjoy these from Coach Training Institute (CTI)—an excellent California-based training program. Overall, their approach is a bit more formulaic than mine, but they are a great resource in our community. In the Gallup organization's "State of the American Workplace", ten years of study show that seventy-five percent of American workers are chronically "Not Engaged" or "Actively Disengaged". That's the bad news. The good news is that excellent coaching can help leaders and their teams to increase levels of Hope (p.11 of the study) and Communication (p.12). And when that happens, the good things go up, the bad things go down. When coaching is available in some way to everyone, from new hires to senior leaders, the unique momentum of a "coaching culture" has found traction. Tony Hsieh, CEO of Zappos.com offered this one-minute video endorsement on the ROI of coaching. This interview from HBR is a bit longer, but you'll be inspired: "Building a Company Everyone Loves." From Forbes, December 2012: "Why most leadership training doesn't work (and why leadership development does)"
And finally this recommendation from a fabulous engineering leader at Microsoft* . . .